With over 3 Decades of Excavation Experience, let Sioholm Excavation help you with your installation or repairs for your home or business. 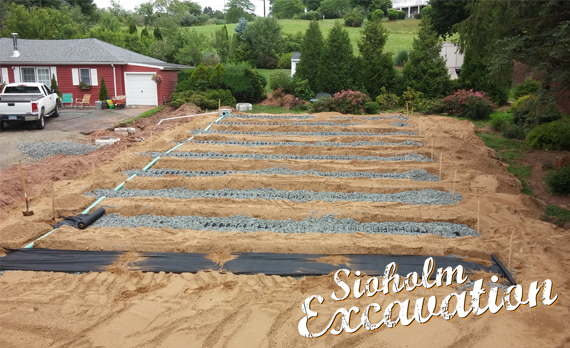 Throughout the years, Sioholm Excavation has helped hundreds of customers fix their septic systems, sewer, water main, drainage and other issues as quickly as possible for a fair price. We take pride helping customers as quickly and efficiently as possible. Sioholm Excavation Services offers high quality installations and repairs on all types of excavation and site projects. With professional service, Sioholm Excavation is a company with years of experience who takes pride in each and every job while providing exceptional customer service. Being able to provide residential and commercial excavation services throughout Connecticut, Sioholm Excavation can work with your contractors for new construction or help you with your repairs. From septic systems to all types of property drainage, we are the number one choice for your excavation services and we will provide FREE estimates to help you figure out what your project will cost. We also can help recommend excavation solutions for certain types of problems so you can insure a complete job that works. 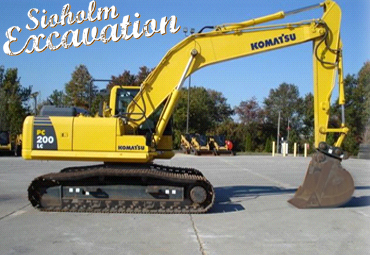 Sioholm Excavation is committed to helping homeowners and businesses with all of their excavations needs. Professional service and quality workmanship, Sioholm Excavation is ready for your next project. Our company is experienced in collaboratively working with all parties involved in a given project, including the homeowner, developer, general contractor, site and professional engineers, and other subcontractors. We pride ourselves on our honest and dependable services giving you trusted, high quality workmanship and the personal attention you deserve. Are you curious how we work on our projects?